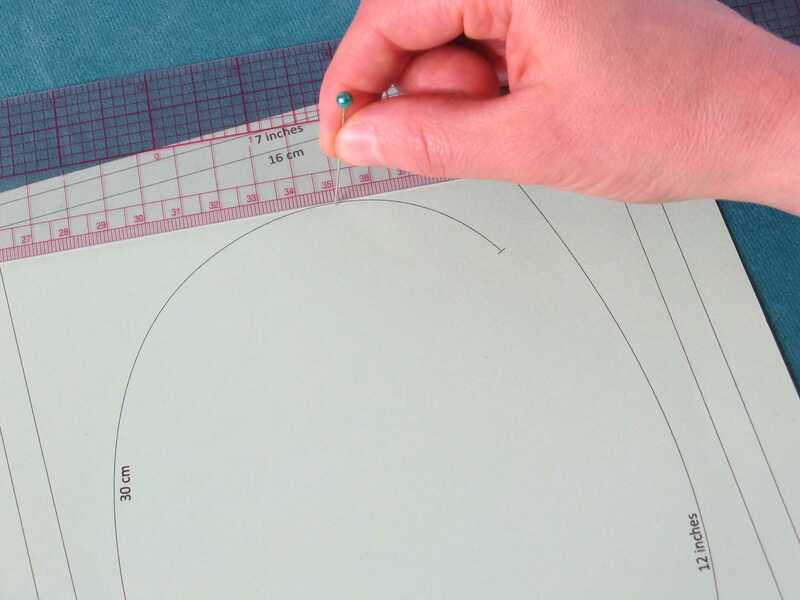 I’ve tried all sorts of methods for measuring curves on sewing patterns. I thought I’d test them all out, since I just got a curve measuring wheel and I wanted to see how it compared to other methods. I tried walking a ruler laid flat around the curve using a pin as a pivot point. This is one of the more accurate methods if you do it right, but it requires some skill, lots of patience, and good eyesight. 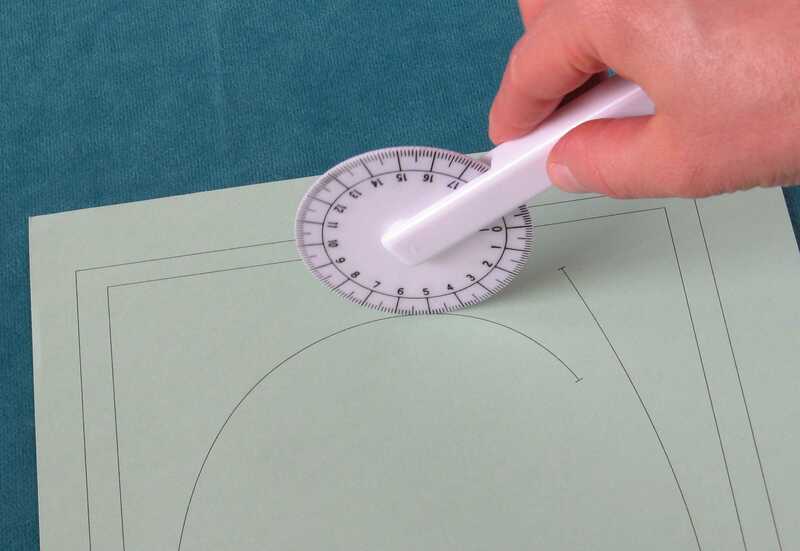 The main benefit is you can use the same ruler to measure your straight and curved line segments, so you don’t have to worry about using two rulers with different scales (they can vary more than you might think). I found references to using a flexible plastic ruler (like a C–Thru B–95) on edge. It might not be too bad for a gentle curve like a hip curve, but it doesn’t really work very well for an armhole or sleeve cap. 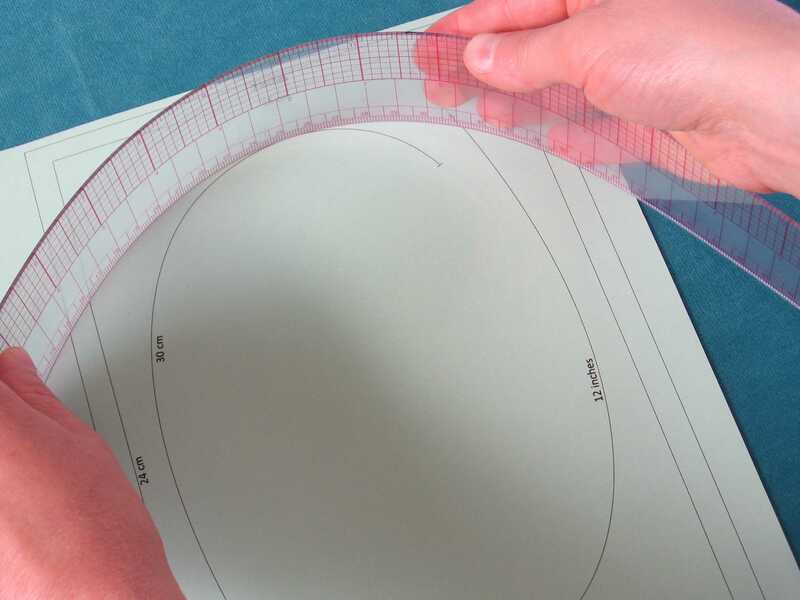 You can’t bend the ruler to fit the whole curve at once, so you have to align a section at a time. Sometimes the ruler slips and you have to start over. It’s also not the most accurate method. I tried my 5/8” wide plastic measuring tape on edge. I had to stretch the tape tightly and only measure a small piece of the curve of the time. This is not a bad method if you have an accurate measuring tape. Recently I acquired a narrow retractable tape measure that came with a vintage sewing machine (similar to this retractable measuring tape). 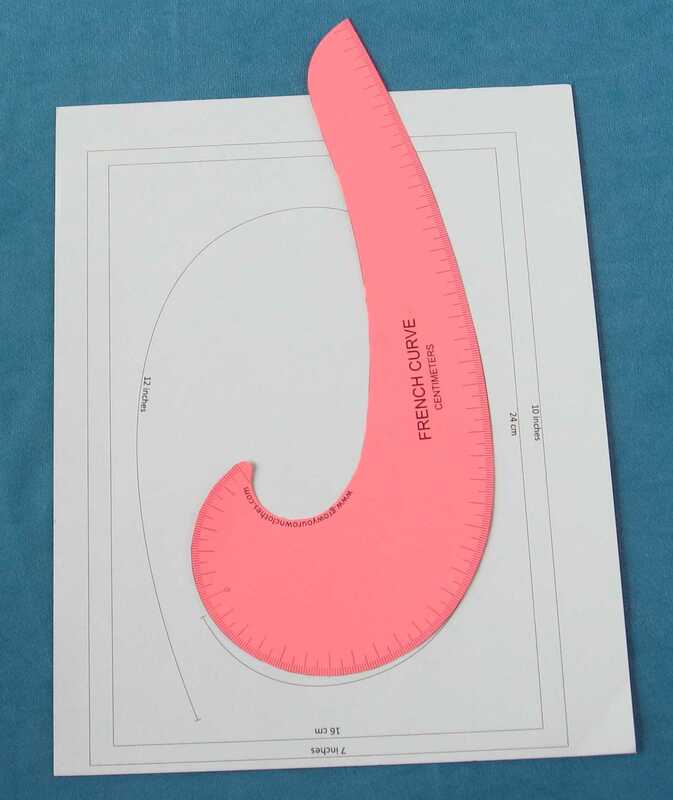 It is perfect for measuring curves. It is narrow enough (8 mm [5/16″]) not to flop over when I have it on edge, and it’s also not wrinkly like my other measuring tape, so I don’t have to stretch it as I measure. The retractable tape I have has an accurate scale on the centimeter side, but the scale on the inches side is off by 1/16” over 24”. Fortunately I try to do all my pattern drafting in metric units. As with any measuring tape, you need to compare it against the straight ruler you usually use to see if they match. If they don’t match, buy another brand of measuring tape and keep trying until you get a good one. Also consider that your straight ruler might be the one with the incorrect scale! I made my own tape by cutting a 1 cm (3/8”) wide strip of poster board or manila folder. I used this method before I got my retractable tape measure. This turned out to be a fairly easy and accurate way of measuring curves. I walked the strip of paper on edge around the curve, marked the end of the curve on the paper, then measured the paper strip with a ruler. It was nice that I could mark the location of notches right on the paper. My problem with this method was that I would forget to erase the marks from the previous curve I measured, so I wouldn’t know which mark to measure to and I’d have to re-measure the curve. 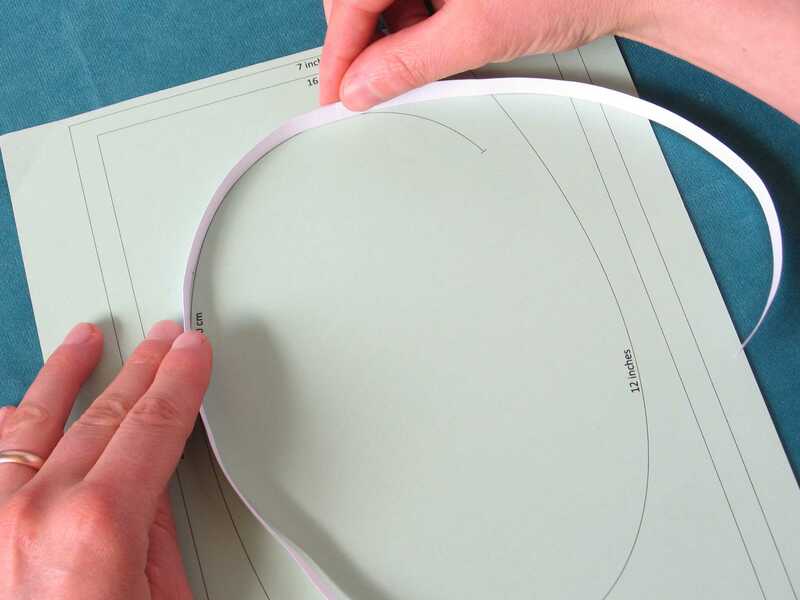 Also it’s a two-step method – walk the paper along the curve, then measure it with a ruler. It’s a good method to use if you don’t have a measuring tape that matches the scale on your straight ruler. It’s easier and faster than walking a straight ruler around a curve. 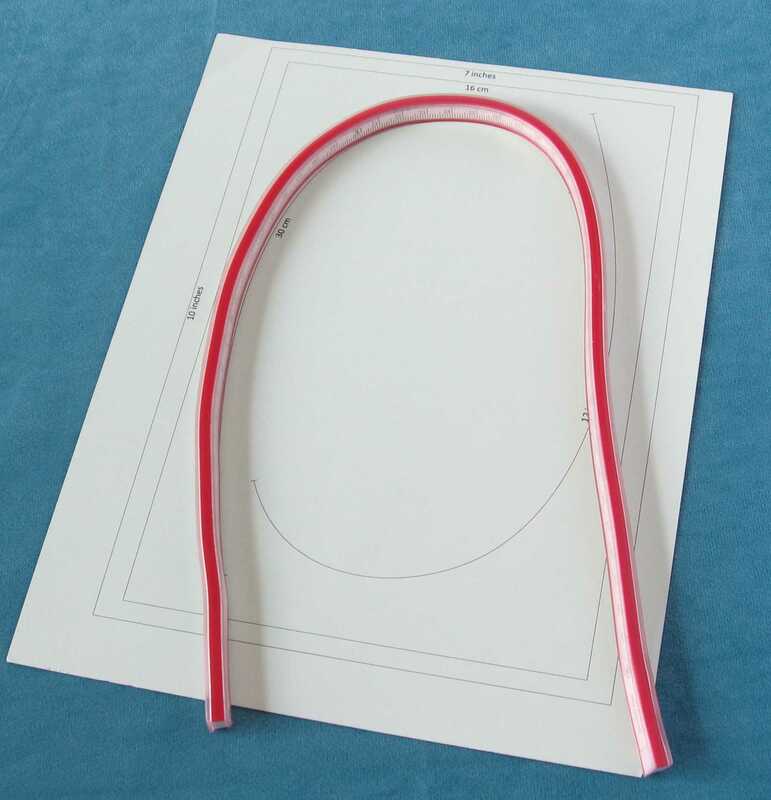 I tried a flexible curve ruler—the kind with lead inside that holds its shape when you bend it. 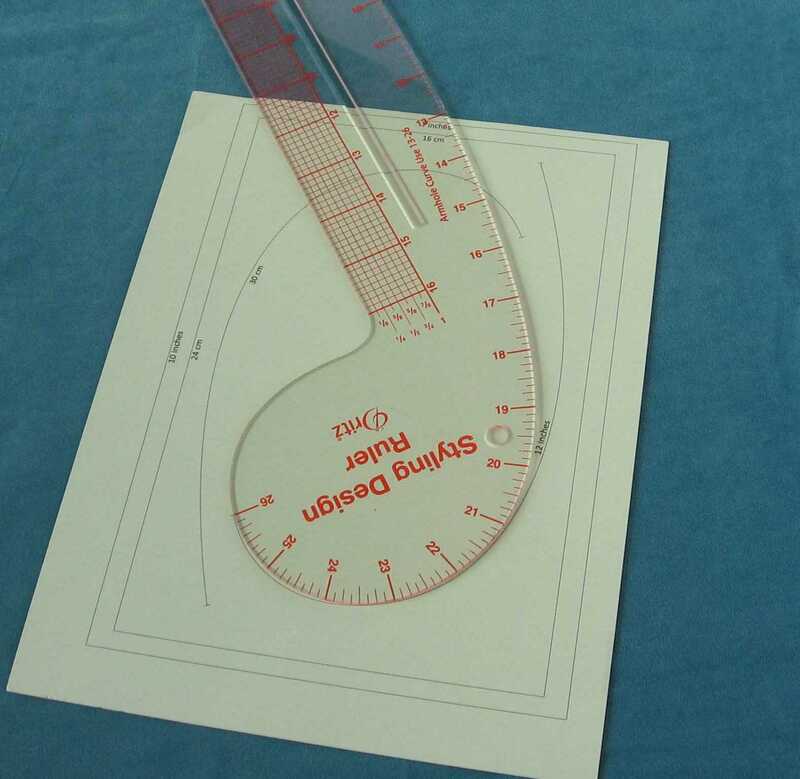 This was terribly inaccurate for measuring curves, since the actual measuring tape is set in from the edge of the ruler. These rulers seem like they’d be really cool but they’re not. You can’t measure with them, and they don’t hold their shape well enough to accurately copy the shape of a curve, so I never actually use mine. 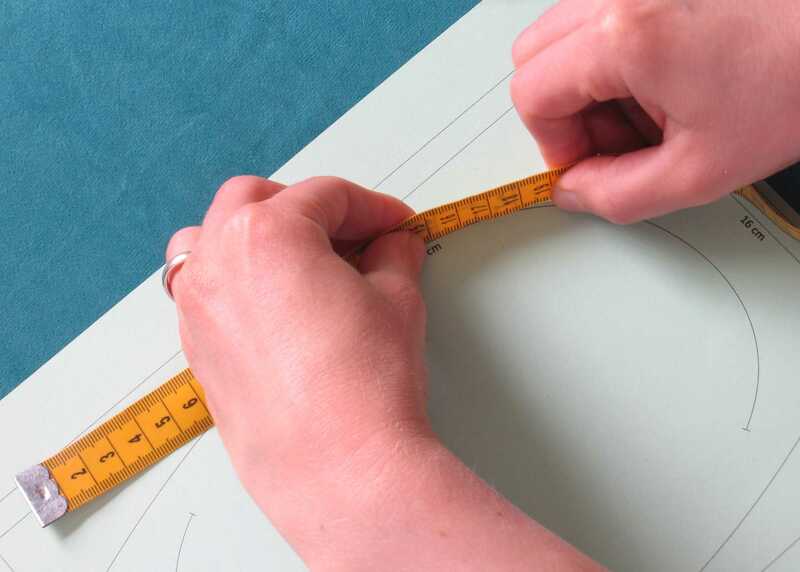 I was reading 1,000 Clever Sewing Shortcuts and Tips and one of the tips is to use a plan measuring wheel to measure curves on sewing patterns. 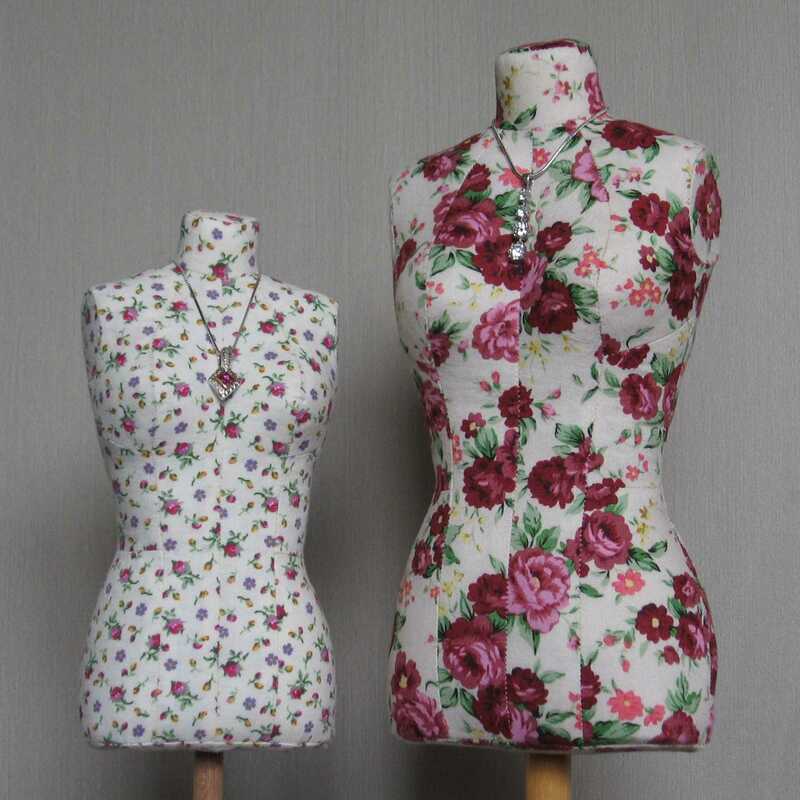 I do enough pattern drafting that I figured it would be nice to have one, but after looking at prices, I decided I didn’t need one that bad after all! There are less expensive map measuring wheels which are basically the same thing, just with different pre-programmed scales. I considered buying one, but then I discovered Japanese manual measuring wheels, and decided to get one of those instead. I’m not sure how I found them on Amazon – the poorly translated product title “Measurably faster exactly the length of the mouth curve” is not exactly helpful. If you live outside the US, you can order these measuring wheels through Rakuten. My wheel didn’t measure perfectly, so I very lightly sanded it down on the edges until it measured the same as my ruler. Unfortunately, I picked the wrong ruler to calibrate it to, so now it measures a little too long compared to my C-Thru B-97 ruler that I use as a standard. Doh. It’s still within a half millimeter over 20 cm. Measuring wheels only measure accurately if you center the width of the wheel over the line you are measuring, which can be hard to do. My natural tendency is to line up the edge of the wheel with the line, but for a thin line this means I’m measuring just inside or outside of the curve, which results in a measurement smaller or larger than it should be. There is a new measuring wheel made in the US – the Curve Runner. There was a recent Kickstarter for them*. They are made in both metric and inches versions. I might have to try one of these – the fact that they are clear should make it easier to center the wheel over a line. *They are now for sale through Amazon , PatternReview, and Etsy. The last thing I tried is using a French curve with measurement marks. They have to be pivoted, but not as many times as a straight ruler. I had better results with my free printable curves than my Dritz Styling Design Ruler. The Dritz ruler gave me such poor results (up to 1/8” off over 12”) that I will not use it for measuring. Besides that, it’s marked in inches only. 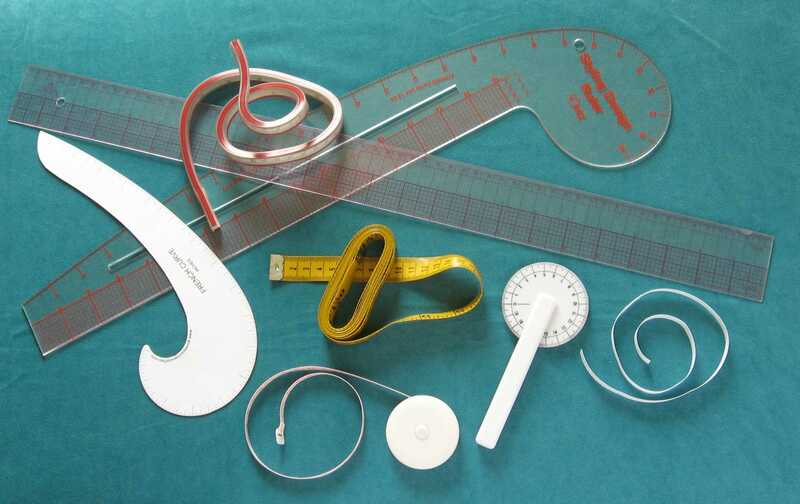 Of the methods I tried, I found that measuring with my printable French curves was the fastest, easiest, and most accurate method when measuring a curve that is similar in shape to the French curve. My printable curves are quite accurate if you print them to the correct scale, your printer is good (be sure to print at the highest quality setting) and you cut them out accurately. If I purchased a curve with measurement marks, such as the Fairgate curve, I would definitely test it against other methods before trusting it to be accurate. I’ve learned the hard way never to trust any ruler to be accurate – not even expensive metal ones. Here is the test sheet I made to test curve measuring methods on. Print it with your printer’s highest quality print setting with the scaling set to “None” or “100%”. Measure the border with an accurate straight ruler. If it checks out OK, measure the border with your curve measuring device to see if its scale is good, then measure one of the curves several times. Of the curve measuring methods I tried, the flexible (lead-filled) ruler and the Dritz Styling Design Ruler were the only ones that were so inaccurate I would never use them. The measuring wheel was up to 3 mm off over 30 cm if I wasn’t careful, but if I kept the wheel centered over the line, it was within 1 mm of the correct measurement. Every other method got me within 1 mm of the correct measurement most of the time. 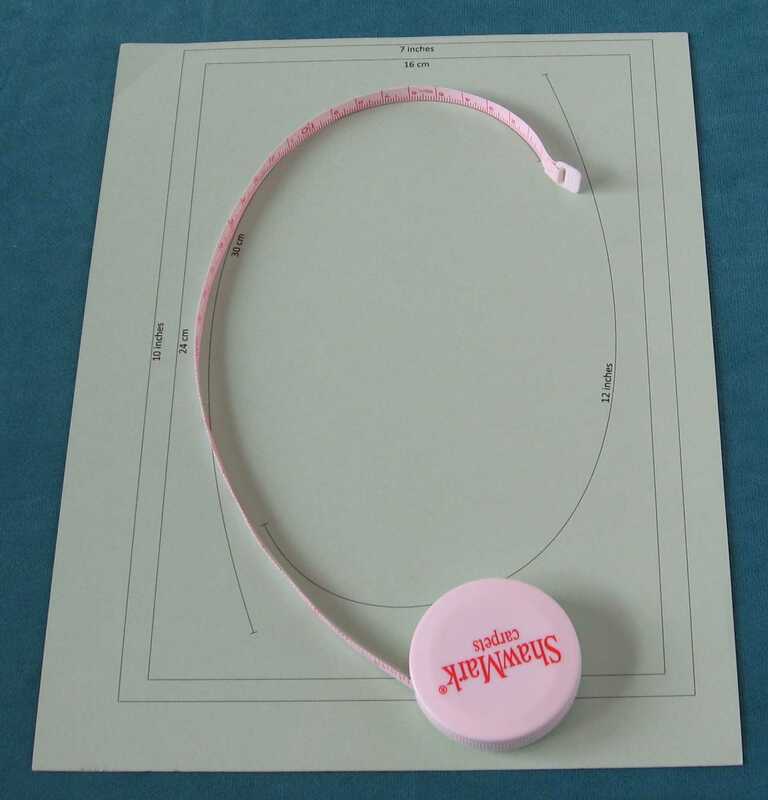 Couldn’t you just use a piece of non-stretchy string and then put that up against your ruler to measure? I guess it depends how accurately you want to measure to. It would have to be pretty thin and not stretch at all. Upholstery thread might work. If you are even slightly off to one side of the curve, it makes a significant difference in the measurement, so a thicker string wouldn’t give you a very good measurement. Thanks for the review. This is information that is always good to know! I fold a long piece of pattern paper to get a straight edge and walk it around the curve. Then you can measure the straight edge from mark to mark. Using paper strips is a good method. It also lets you mark the location of notches right on the paper if you need to.